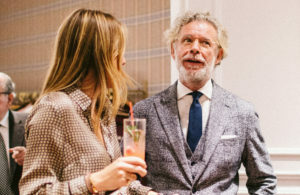 The New York skyline was a fitting back drop to the launch party for Huntsman’s Urban Tweed capsule collection in collaboration with The Rake magazine, which took place at Huntsman’s New York pied à terre last week. 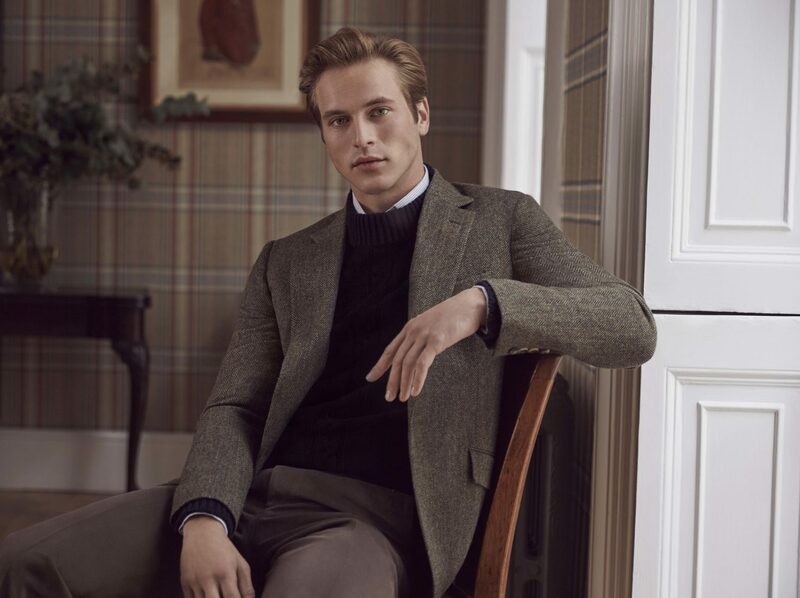 The Urban Tweed collection takes its cues from New York’s glittering night-time skyline, with the dark grey, black, and white-toned tweed created with Johnstons of Elgin to echo the look of the city’s skyscrapers glittering at night. 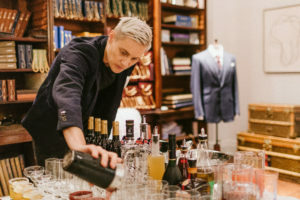 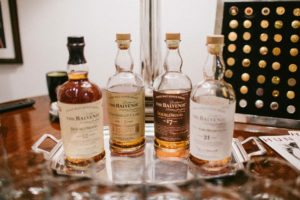 To celebrate the collection’s unveiling, the house invited guests to its New York home to experience the designs close-up, while waiters from Cipriani circulated with the restaurant’s delectable Italian canapés, and Balvenie offered tastings of some of its hand-picked whiskies. 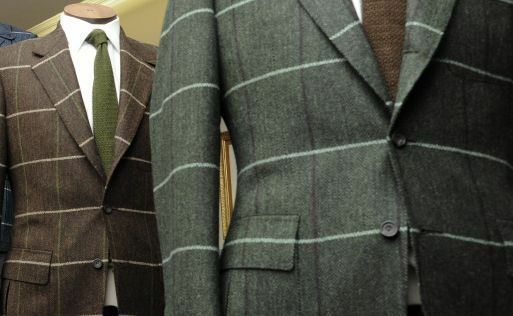 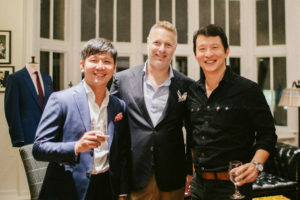 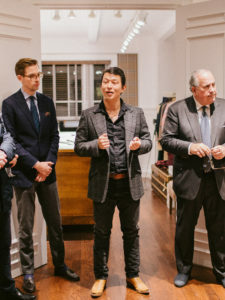 During the evening, Wei Koh, The Rake’s founder, spoke about the creative process behind the collection, while Ed Turco, Huntsman’s Head of Bespoke in the US, gave guests an insight into the ingenuity – and the relationship between the client and the house – that goes in to creating Huntsman’s bespoke tailoring. 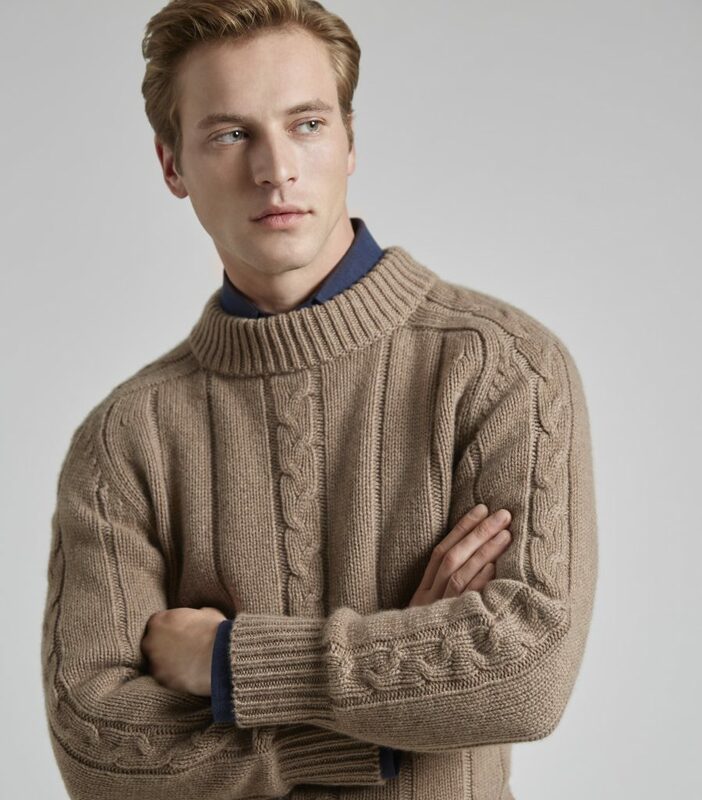 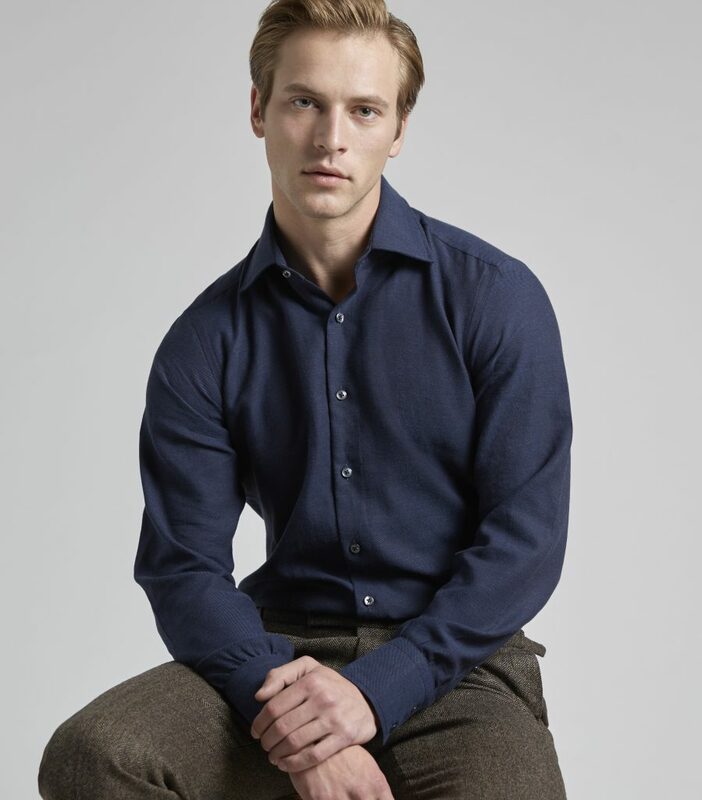 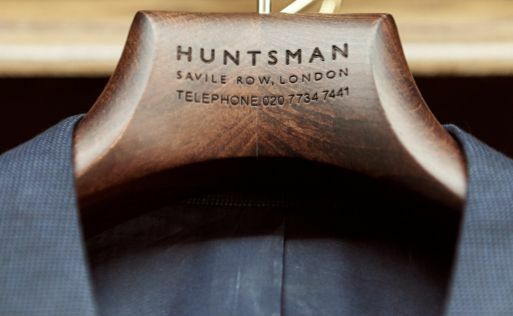 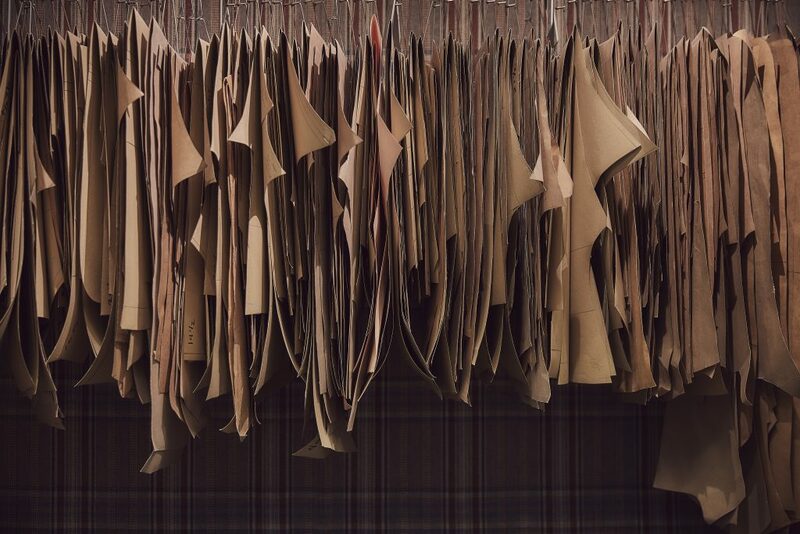 Indeed, the US is no stranger to Hunstman’s bespoke offering. 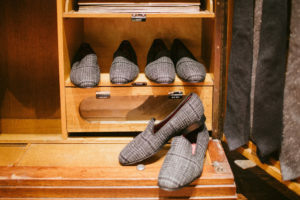 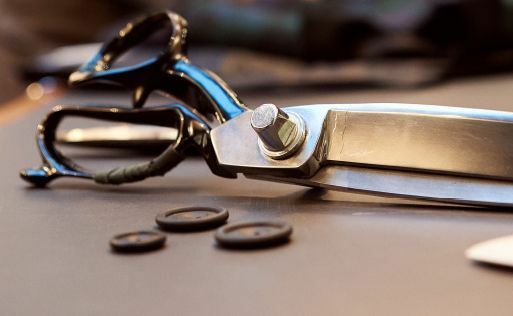 Earlier this year, the house drove its gleaming Airstream Mobile Tailoring Studio across 11 American cities, where customers could be fitted for a bespoke suit, or simply gain an insight into the experience. 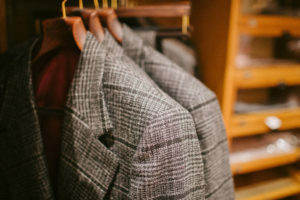 The Urban Tweed collection itself is made up of two full looks built around the Urban Tweed hacking jacket, which Huntsman’s head cutter and creative director Campbell Carey has reimagined, transforming it “from something you’d wear in the country into the sexiest, louchest, boulevard prowling jacket, that would be equally at home at a gallery opening or an elegant dinner,” says Carey. 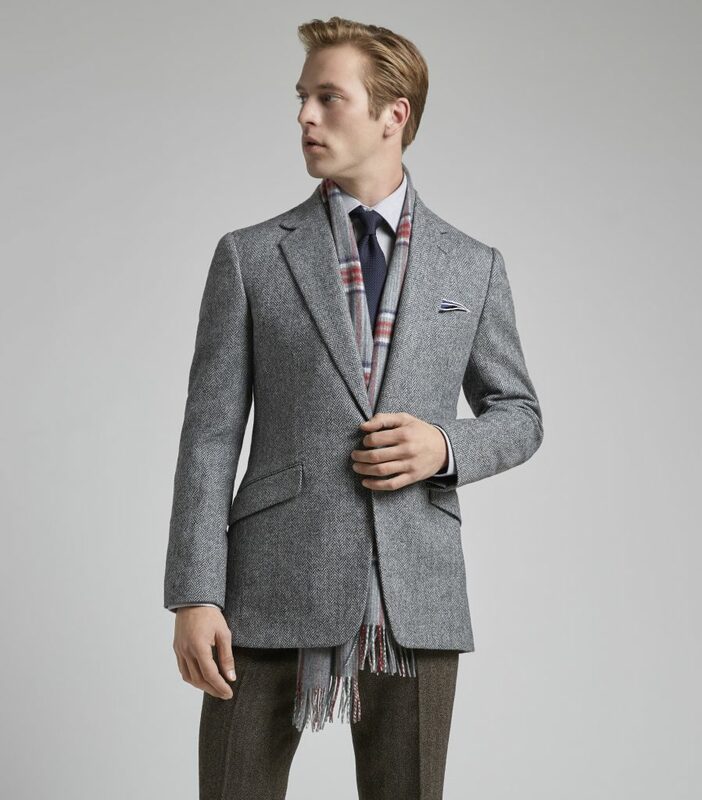 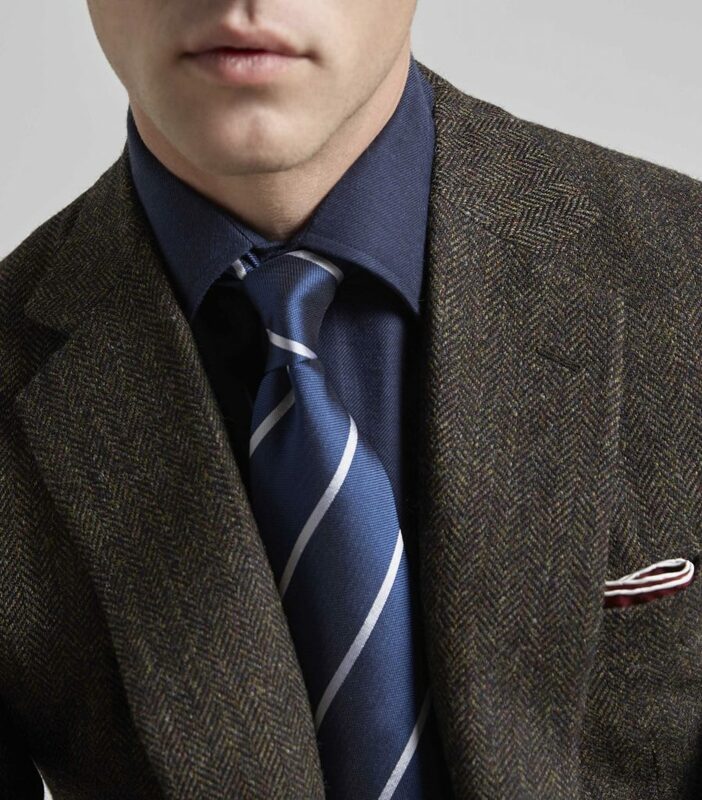 To achieve this urbane look, the jacket is cut with slightly wider lapels, a bolder shoulder, and a flared skirt. 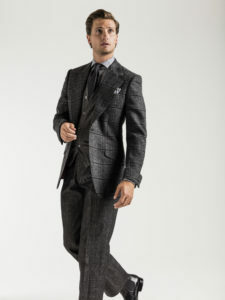 “Everything is larger than life, the way New York is larger than life,” notes Carey. 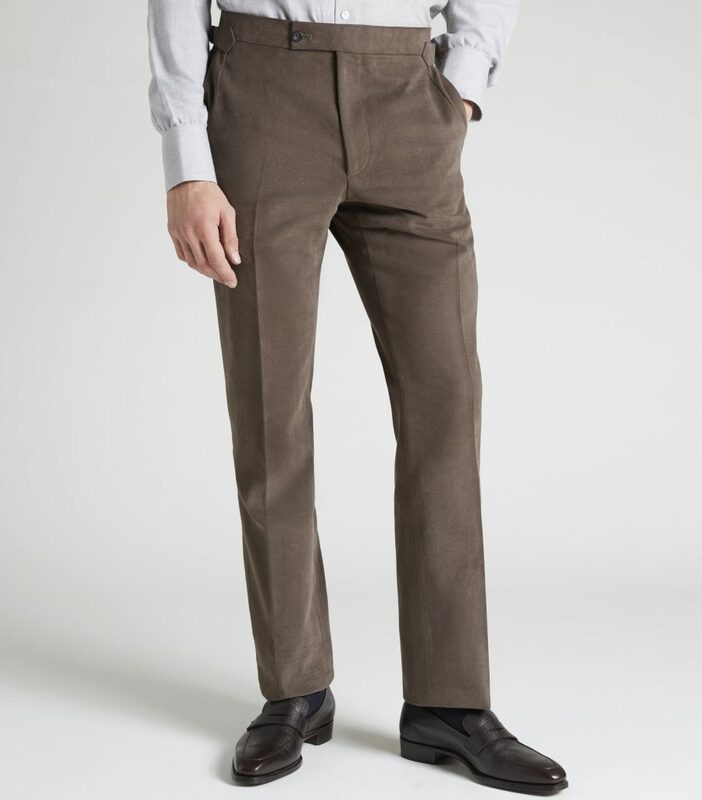 Added to the collection are charcoal flannel trousers, and a pair of black denim pleated trousers. 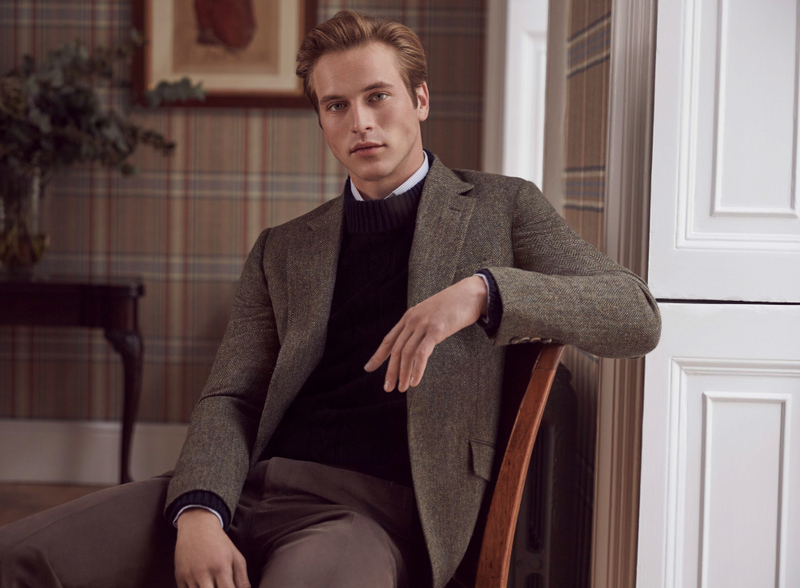 A sleeveless, charcoal knit waistcoat is intended to add a layer of warmth under the jacket in the cold New York weather, while evening slippers in the charcoal Urban Tweed add a fun – and luxurious – element. 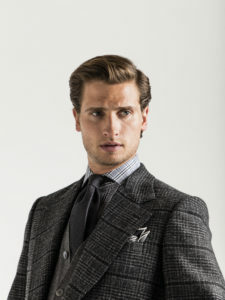 Among the accessories is a matt-textured, grey knit tie, and a black and white silk pocket square printed with an aerial view of Manhattan’s grid-like street system. 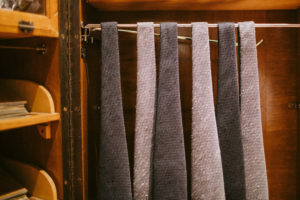 The collection is available now exclusively at therake.com.